In today’s competitive online landscape, having a simple real estate website is not enough to capture and convert prospects into homebuyers. Users today want to be immersed in technology that provides access to the latest property listings in their target area. Internet Data Exchange or IDX is what allows realtors to showcase MLS listings on their websites. 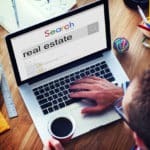 Searching for properties is the number one activity that home buyers perform on the web, with 81 percent of all buyers now using the internet to search for homes, according to a 2014 report from NAR. This means that having an IDX solution on your website that allows visitors to easily access the latest information on home listings is not just important, it is absolutely critical to your success. IDX solutions are not all alike, though. There are many IDX solutions available – while your MLS area and specific website platform will determine which IDX solutions will work the best for you, there are a lot of features that individual IDX solutions can provide. At For Sale Marketing, our real estate websites are all created using WordPress, which allows us to offer highly functional, easy-to-access IDX solutions that provide a host of features that will keep home buyers returning to your site. Our dynamic IDX solutions let you show through your strong web presence that you are the foremost realtor in that area, with a demonstrated ability to meet your visitors’ home search needs. Home buyers love the on-the-go convenience of being able to search for properties on their mobile devices, whenever and wherever they have a free moment. For Sale Marketing’s IDX solutions feature responsive design so they automatically adjust to whatever device users are accessing them with. This means your visitors enjoy flawless performance on tablets, smartphones, and every type of mobile device for a home search experience that is second to none. Photos resize without the need for pinching or zooming, so properties are always presented in the best light whether visitors are viewing them on a wide screen tablet or diminutive phone screen. Buttons are conveniently placed and sized, so visitors can search without fumbling or struggling. Viewing windows adjust to the available field, so no one has to interrupt their searching experience to shift their view from left to right, they can just smoothly scroll down. Visitors can make your real estate website their go-to destination to find properties across every device they use to access the web. Engaging visual search capabilities of the interactive map feature on our IDX solution allows visitors to quickly access information about your listings’ locations. Home buyers can zoom in and out, view the surrounding area and see neighborhood features to quickly gain a wider understanding of what each listing has to offer. When you use one of For Sale Marketing’s IDX solutions, all of your MLS property listings are indexable by Google Search. Our SEO-friendly IDX listings provide fabulous benefits that will help generate more real estate leads for your agents. Having indexable listings means your properties will appear when clients run Google searches, which will help new customers find your website. Also, since each of your MLS listings are indexed by Google, your real estate website gets an SEO boost that will increase its visibility so it can achieve a higher placement in search results. Research shows that home shoppers will perform an average of 11 searches prior to taking action. These searchers want to be able to save the properties they are interested in, so they can compare features and locations before physically checking out the domiciles. The IDX solutions on our real estate websites allow users to save their favorite properties, so they can revisit their favorites without having to resort to off-site methods of saving search info. Unlike some add-on IDX solutions that merely tack on IDX features onto an existing site in frames, For Sale Marketing’s IDX solutions are fully integrated with your real estate website. This opens the door to design options that can help raise your website’s profile to a higher position with search engines and visitors. Full site IDX integration allows you to leverage local SEO strategies to generate more real estate leads. You can create local mini-Neighborhood sites within your real estate website that incorporate IDX listings of local properties. This helps home buyers fully visualize the experience of living in each of the local neighborhoods you feature. Visitors can search and find available homes in their desired neighborhood without ever having to leave the neighborhood or subdivision page. It isn’t enough to merely show visitors MLS listings in an attractive format; you need an IDX solution that will help you convert these property searchers into genuine leads that you can follow up with. Our IDX solutions include quality leads capture features that will provide you with a steady stream of good quality leads. You can choose from lead capture forms and prompts that allow visitors to take action on their desired properties in a variety of ways. In addition to saving property searches, visitors will be able to request more information, schedule showings, and more. Our flexible IDX solutions can be customized for single, individual agent sites as well as multi-agent large brokerage websites. Our single agent IDX solutions give your website a professional edge that will help build your real estate brand. By incorporating our IDX solutions throughout your brokerage website, you can help your site gain a high search visibility that will raise your real estate agency’s online profile. Talk to one of our real estate website professionals to discover all the benefits that our dynamic, high performing IDX solutions can bring to your real estate website.